Karl Denson’s Tiny Universe Releases New Video for “Change My Way” | WATCH! Karl Denson’s Tiny Universe has released a video for “Change My Way,” the second single from its forthcoming studio album, ‘Gnomes & Badgers,’ due March 8. Both the song and video make a poignant statement about the current crisis at the U.S. border. The clip was directed by TG Herrington—an award-winning director, writer and producer—whose work includes ‘The Free State of Jones,’ a series of music videos for Paul McCartney and the new feature-length documentary ‘A Tuba To Cuba.’ Denson co-wrote the song with New Orleans singer-songwriter Anders Osborne and co-produced the track with Adrian Quesada (Brownout, Spanish Gold). The through-line of the video’s narrative—a quilt-like U.S. flag being stitched together by people from varied cultures—is a metaphor that diversity is America’s greatest strength. Plans are currently being made to auction the flag for charity and will be announced shortly. Karl Denson’s Tiny Universe is highly regarded as one of the fiercest bands working today. On ‘Gnomes & Badgers,’ their first new album in five years, KDTU distill the sweeping stylistic range of the band’s concert performances into their own authentic sound. The inimitable Denson and his long-standing seven piece unit, which includes guitarist DJ Williams, drummer Zak Najor, bassist Chris Stillwell, keyboardist David Veith, trumpeter Chris Littlefield and slide/lap steel guitarist Seth Freeman, offer a message of fellowship across generations, genders, religions and cultures. 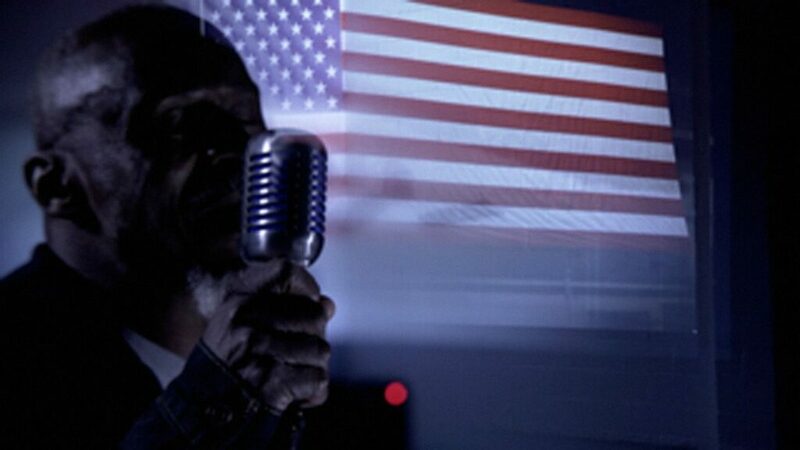 The recording is Denson’s plea to address the current state of political discourse in these tragically divisive times. KDTU have a number of shows coming up to celebrate ‘Gnomes & Badgers,’ while Denson will tour the U.S. this summer as saxophonist with The Rolling Stones.